Local Text Marketer's mass texting service allows you to broadcast your message to a large group of contacts either as simple text messages (also known as "SMS") or image messages (also known as MMS). In general, mass texting can be thought of as a mass "one-way" communication channel; your contacts receive your broadcasts but have limited ability to communicate back to you. Mass texting is so powerful for a very simple reason; 95-99% of text messages are opened and read - most within 3 minutes. Today, there is no more effective way to bypass the clutter and huge cost associated with traditional advertising than by delivering your marketing messages directly into your customers' and prospects' hands... onto their phones. Any business or organization that wants to connect with a large group of individuals quickly and efficiently. 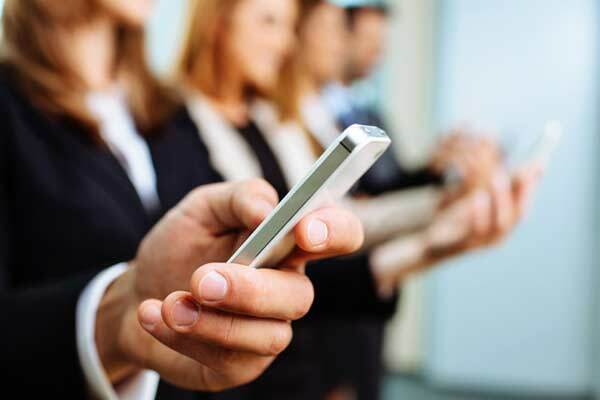 Although services like this are commonly used for commercial purposes, mass texting services are also incredibly handy for non-commercial purposes as well. In fact, any time you need an efficient way to send the same message to many people in seconds, bulk texting is a great option because text messages are rarely missed. For example, schools can notify parents of events and cancellations, a Chamber of Commerce can send a notification about an upcoming business mingle and a political organization can send a quick note mobilizing hundreds of volunteers. For the detail-orientated, our complete product page contains a ton of information; it discusses the benefits of text marketing in more detail, provides a video walkthrough demonstrating the ease of use of our service, answers common questions, and includes a link to a free trial offer. Be prepared to spend a few minutes reading it; we didn't skimp on the details! Click here to learn more about our Mass Texting Service! With subscriptions starting at just $19.99 per month, pricing for our Mass Texting Service can be found below, or for complete pricing details, please click here! You won't need a credit card. No sales reps will be calling and pestering you. This really is a "no strings attached" trial. Quite frankly, no service is right for every business, and if ours isn't right for yours, that's totally OK. But there's really only one way to know. And that's to try it for yourself. Here's where you can sign up. FREE* No Credit Card Required! See more pricing details here!